Many people may have a smartphone with a main 5.7 inch super AMOLED display with Quad HD resolution is more than enough. But the people of Meizu have thought they can take things further. 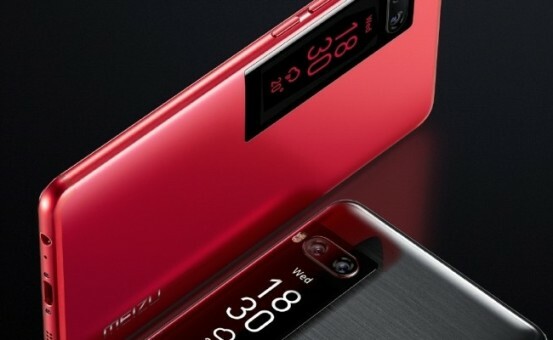 So without thinking twice they have inserted a second AMOLED display in the back of the Meizu Pro 7 and Meizu Pro 7 Plus. A 1.9-inch display with a resolution of 240 x 536 pixel is used to always display on screen notifications, control music and serve as a monitor for framing the selfies with its dual rear camera. The idea of the double display is not new, the LG V already had one, but in the front. However this approach seeks to stand out among the rest of the brands for its location. Anyway, this new Meizu will have to prove its usefulness. Another peculiarity is its dual camera that combines a color sensor with a black and white. A feature already offered by the Huawei and the Honor, and that gives quite good results. The rest of the features point to the high range, although the MediaTek Helio X30 cannot be compared to the most powerful Snapdragon at the moment, the 835. The Meizu Pro 7 includes fingerprint scanner, Cirrus Logic CS43130 Hi-Fi chip, 3,500 mAh battery, 4-6 GB LPDDR 4X memory and 64-128 GB UFS 2.1 storage. There is no official price or launch date, but hopefully it will not take long to reach the market in order not to lose the hype.